Caribbean Horse Boarding Stables & Livery Yards Directory - O Horse! Bermuda equestrian facility. 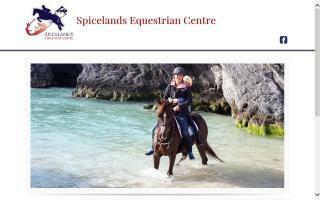 Spicelands Riding Centre offers boarding, trail rides along Bermuda's South Shore Beach area, and lessons for visitors and locals of all ages.